The ACC Intensive Language & Culture Program in Beijing is a Chinese language program administered by Hamilton College and hosted by Minzu University of China (MUC) in Beijing. 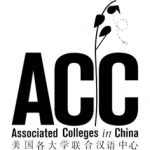 The ACC Intensive Language & Culture Program in Beijing is a Chinese language program administered by Hamilton College and hosted by Minzu University of China (MUC) in Beijing. Students have the opportunity to improve their Chinese language skills and cultural fluency during fall, spring, or summer terms. ACC also offers a summer Field Studies program as well as STARTALK Chinese for teachers and students. ACC and Hamilton College have been selected to receive and award Fulbright-Hays GPA Scholarships for the upcoming terms. Those accepted to the Summer Field Studies Program and the K12 Teachers Language Institute, will receive full scholarships to attend these unique programs. Those wishing to apply for a scholarship for the ACC Intensive Language program will be considered for ACC awards as well as the Fulbright-Hays GPA scholarship.